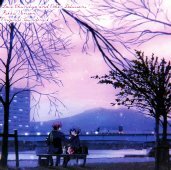 This 2 CD set contains many tracks of BGM and a few vocals for the anime movie Chuuni Byou demo Koi ga Shitai (小鳥遊六花・改 劇場版 中二病でも恋がしたい). The vocal tracks are as follows. Songs by the group Black Raison d'etre. The group Black Raison d'etre is made up of the four main characters from the anime.